During this pregnancy sleep has been a huge issue. In the beginning it wasn't because I couldn't get comfortable, I think it was just the extra hormones and things. Now I am entering the third trimester the belly is getting pretty big and comfort while sleeping is starting to be an issue. My belly or my back will ache and it drives me mad. 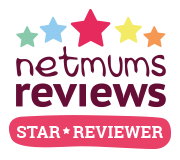 Over the last few weeks I've been trying out the Theraline Maternity Pillow. One good thing about this pillow is that it can also be used as a nursing pillow for after you have given birth. As you can see from my picture the pillow is huge, which is a good thing but also a bad thing. Not a bad thing for me as the pregnant one but for Mark as the partner who shares the bed with me. It's safe to say that the pillow does take up a lot of room and this does annoy Mark. We only have a double bed and you can see how big the pillow is! But I did catch him using it the other morning... it really helps with his bad back. Meaning it isn't just for pregnant women! The shape of the pillow means that it can be placed in a variety of positions to help you get comfortable. I typically sleep with it between my knees as this helps take some pressure off my back which is my biggest problem area right now. I also tend to use the top of it as a pillow as its the perfect size for me to do so. Below is a picture of a way you can use the pillow. I thought this picture would be 10 times better than one I could take myself. 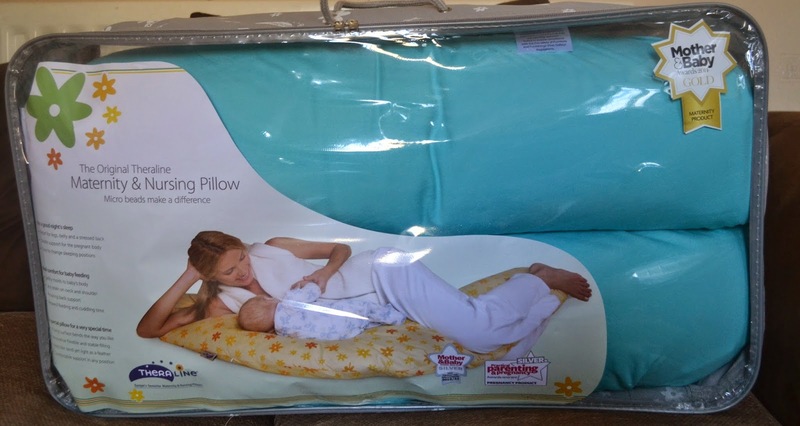 I use the pillow exactly the same as the picture but the baby is just inside my belly! When using the pillow as a nursing pillow you can also wrap it around your belly to help support your baby as you are feeding. I love colour of my pillow. Such a bright and cheerful blue! I also love that the cover comes off. Perfect to pop it into the wash and keep it nice and clean. There are a wide variety of designs so I'm sure you'd find one you love. The pillow actually has hundreds of tiny beads inside which surprised me at first, I thought it would be a typical pillow. This makes it so comfortable and the support is actually very good. 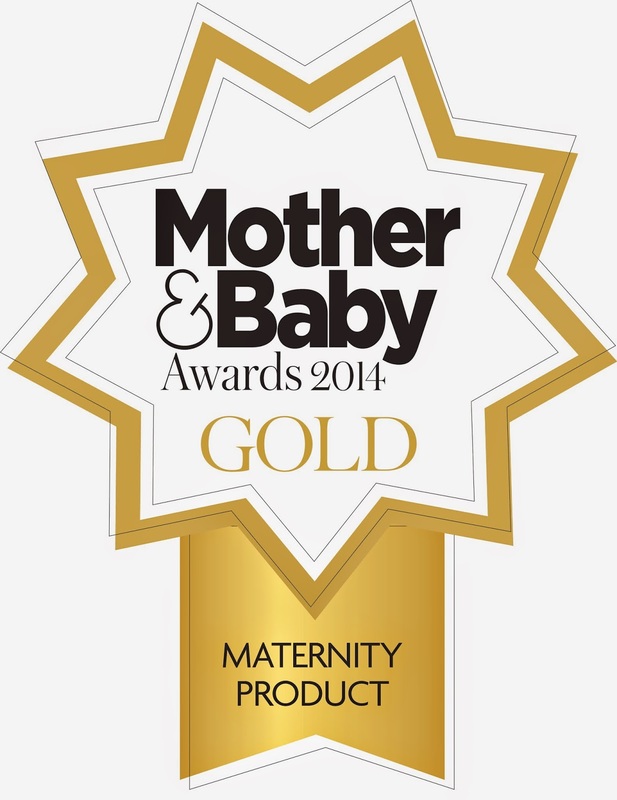 It was awarded the Mother and Baby Gold Award for best maternity product too which means you know you are buying a great product. The pillow is available to buy through the Theraline website and is priced at £44.95. I do think this price is very justified and the pillow is worth the money in my eyes. Sleep is so important when pregnant and something that helps me get a better nights sleep is priceless in my eyes, especially when I have to spend the day running around after Paige. The fact the pillow can also be used when the baby arrives is an added bonus meaning that it can be used after your pregnancy is finished. Did you use a maternity or nursing pillow? I agree with you because many women are really disturb during the sleeping and this article give me good idea and also tell us how to sleep on bed with pregnant pillow if those want to relax thanks for share it pregnancy pillow .